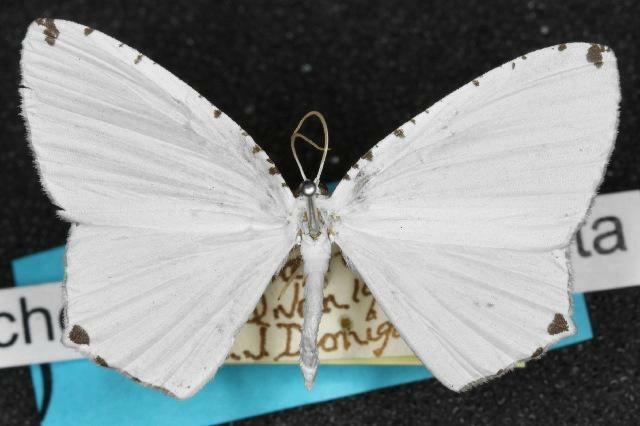 The adult moths of this species are white, with some black marks along the costa of each forewing, and along the margin of each hindwing. The margin of each hindwing is angled, with a black mark in the angle. The wingspan is about 3.5 cms. Volume 15 (1901), pp. 80-81. Volume 3 (1896), p. 274, No. 6.